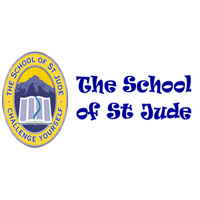 The School of St Jude is a 100% charity-funded education institution that provides free, high-quality primary and secondary scholarships to 1,800 of the poorest and brightest students in the Tanzanian region of Arusha. To provide a high level of education to the school’s children and help those to learn new ideas and concepts to ensure the students meet the required standards of the Tanzanian education system. Keep up to date with developments in the subject area, with new resources, teaching methodologies and national objectives. Fully support the work of the departments and fulfil the school’s mission and purpose. Work harder hand in hand with the HOD/level coordinator to ensure that the academic and discipline of students at a particular level is attained at high standards. Attend all assemblies, arrive punctually sit with the students to make sure they maintain high discipline. Attend homeroom session on each morning when assigned and follow the homeroom procedures without failure. Make sure your students are dressed in proper uniform every morning during homeroom time and other times when deem necessary. Prepare homework and class work assignments and assessment tasks in line with school policy. Provide timely and appropriate feedback to students in a way which will inform their learning. Participate in ESL lessons and any other activities organised by Teacher Mentors. Call parents (in collaboration with the HOD/level coordinator/deputy head master) when there is an academic/discipline concern or issues. Provide support to the HOD and other members of the department in all aspects of curriculum delivery. Take part in peer assessment – observing and providing feedback to colleagues. Prepare suitable and appropriate emergency lesson Plans which can be used when absent and to monitor their use. Attend staff meetings, committee meetings and level meetings full time. Carry out specific allocated duties when you are on duty (T.O.D). Participate in and organise extracurricular activities, such as outings, social activities and sporting events. Participate in House Checks as requested by Community Relations team. Perform any other duties as assigned by the Academic Leaders, Headmaster and the Employer. Bachelor’s Degree in Education in specific subject. An energetic, ethical, well disciplined, appropriate dressing code and friendly attitude with the ability to be flexible, patient, personable, easy going and conduct yourself in a professional manner. Strong inter-personal and communication skills (written and verbal). We seek to hire a qualified candidate for the position of a Teacher.